Multilingual diagnostic system for doctors, dentists and therapists. The installation is performed on your Windows PC. The languages ? ?available in Nilas MV-Dinamika are: German, English, Spanish, French, Dutch, Hungarian, Polish, Portuguese, Russian and Czech. The change of language is done directly by the user. An export of breathing - cardiac coherence (.avi) as well as regenerative music (.mp3) is done directly by the software. 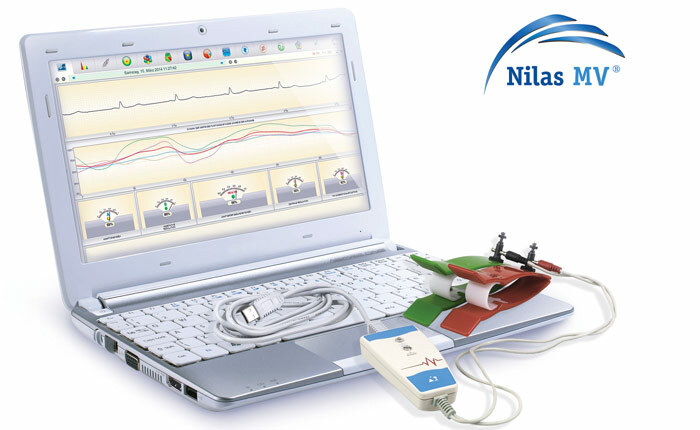 The Nilas MV-Dinamika device is also certified as a class IIa medical device. Request more information about Nilas MV-Dinamika! Fill up this form now!